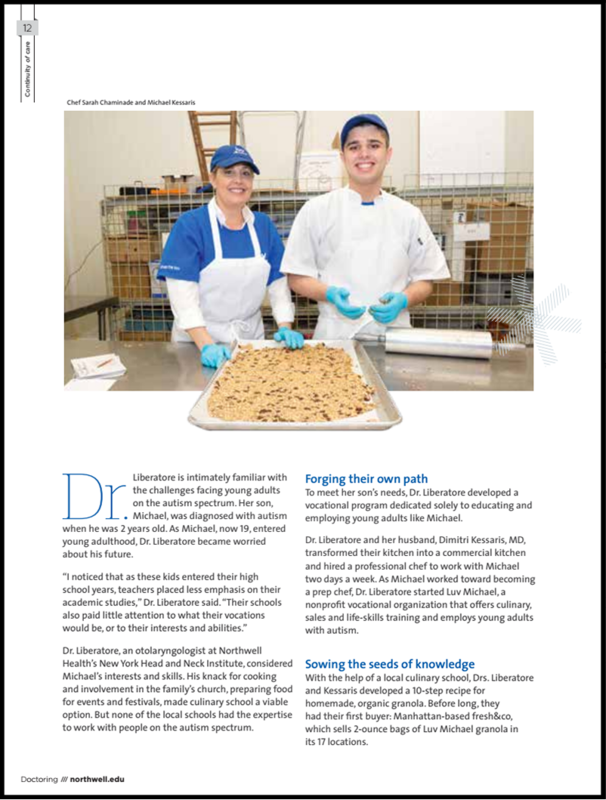 Northwell Health (formerly North Shore-LIJ) has a publication called Doctoring, which highlights exciting things their physicians and staff members do in and outside of the hospital. 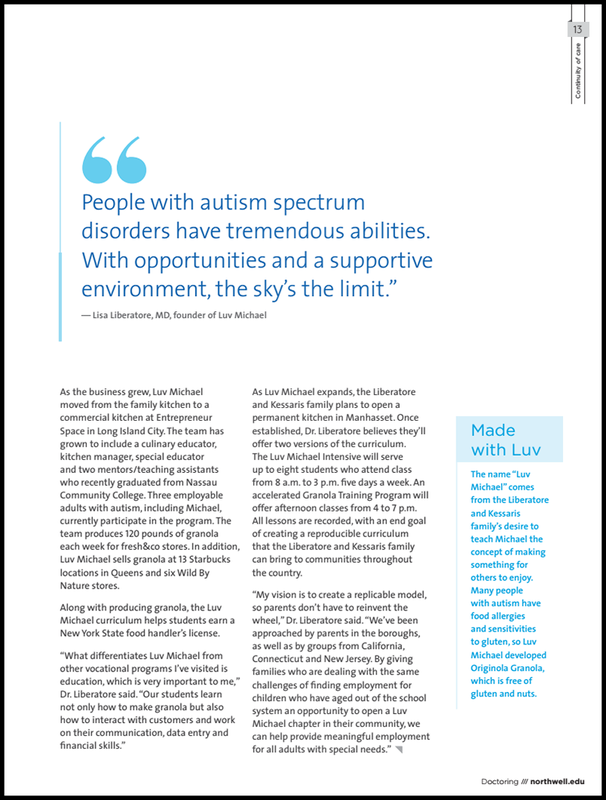 In the second volume of 2017, Doctoring magazine reached out to Dr. Lisa A. Liberatore to learn more about Luv Michael and its mission to Train, Educate and Employ people with Autism. 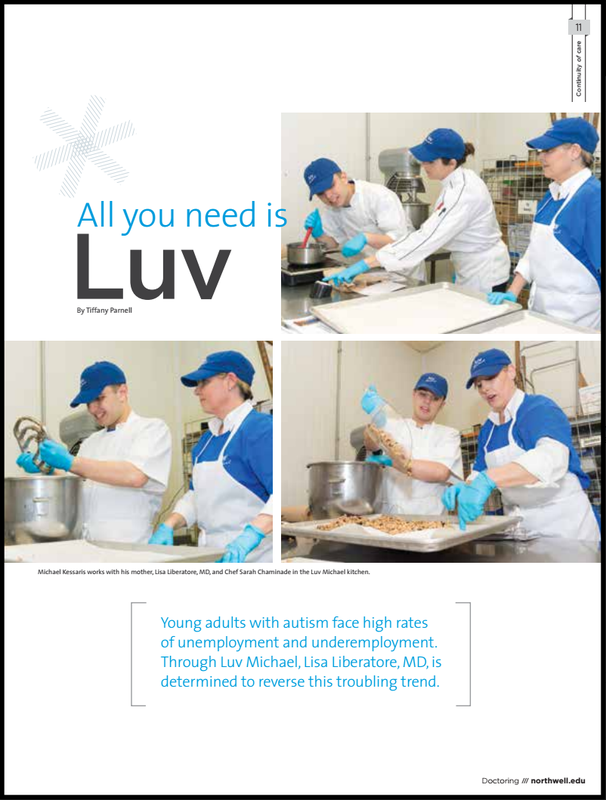 To Read the Full Northwell Article, “All You Need is Luv” click this link for the PDF version. Northwell Health (formerly North Shore-LIJ) is a network of 61,000 healers and innovators committed to changing health care for the better.